. . . Prenocephale Prenes, "Sloping Head" Dinosaur. These gentle planet eaters are best reknowned for their hard heads and their competitive head-butting. They pose a real threat when they charge. 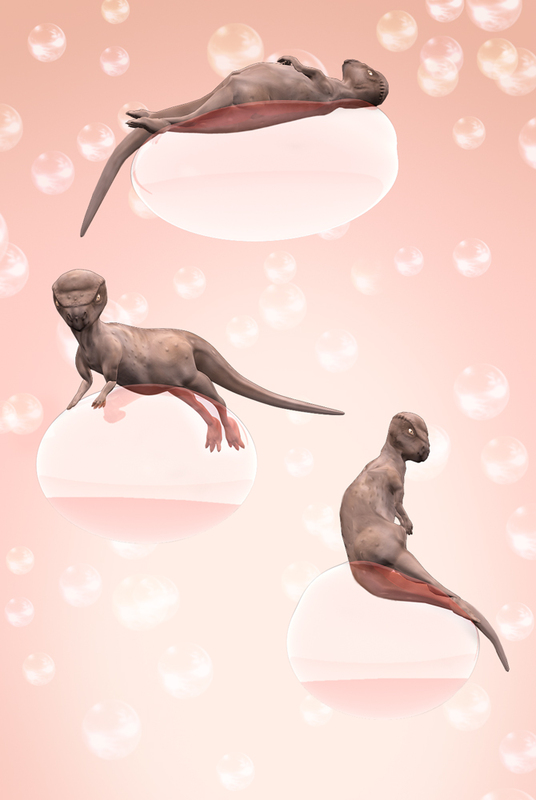 Dino's model consists of 3 LOD (Level-of-Detail) stages that are all constructed in Maya 7.0. The models all use the same texture maps although the final model is the only model to utilize Zbrush's normal mapping. The final model is 7140 tris, with 1 2048x2048 texture map and normal map. Dino is intended for video games.